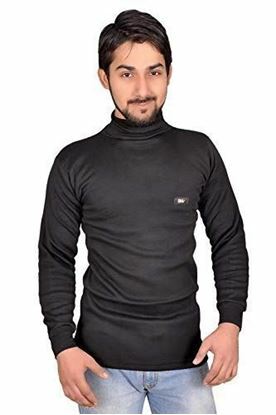 Fabric: Luxurious Exceptionaly soft and thick poly viscose zero shrink fabric for ultra soft feel superior comfort and warmth Neck: High Neck for keeping the wearer warm by keeping the warm air trapped inside and not letting in cold air from any opening. 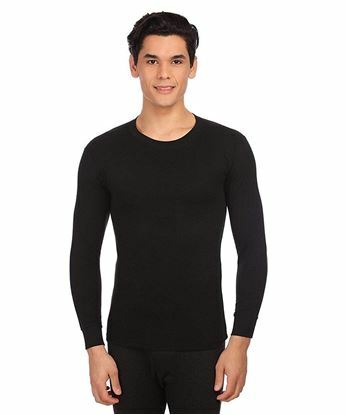 Sleeves: Full Sleeves with lycra rib for long lasting durability and snug and comfortable grip. 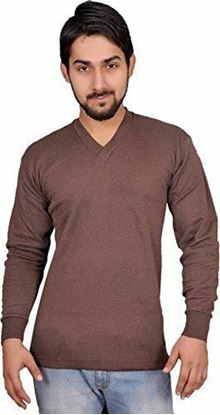 Standard sizes of the product as per other Indian brands which doesn’t allow the fabric to shrink and become short even wash after wash. Prices very reasonable and low as compared to other Indian national brands but quality at par with them and in many cases even better. 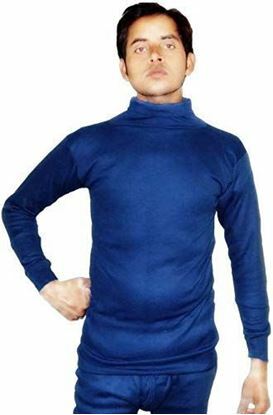 Men's Thermal Wear is made with Soft Poly blended thick fleece material to keep you warm in winters. 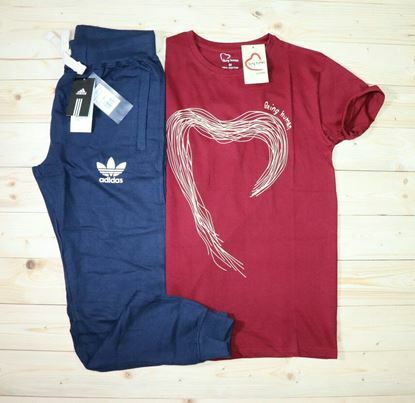 Size: S=80cm || M=85cm|| L=90cm || XL=95cm || XXL=100cm Note: Product is in slim fit. For better comfort order at-least one size higher than you normally wear. Disclaimer: This thermal available in assorted color. Colors are Black, Navy Blue and Brown. Color is subject to availability.